My favourite season is well and truly underway! I love summer both just generally and in terms of beauty, so this is always the seasonal edit I'm most looking forward to sharing with you. 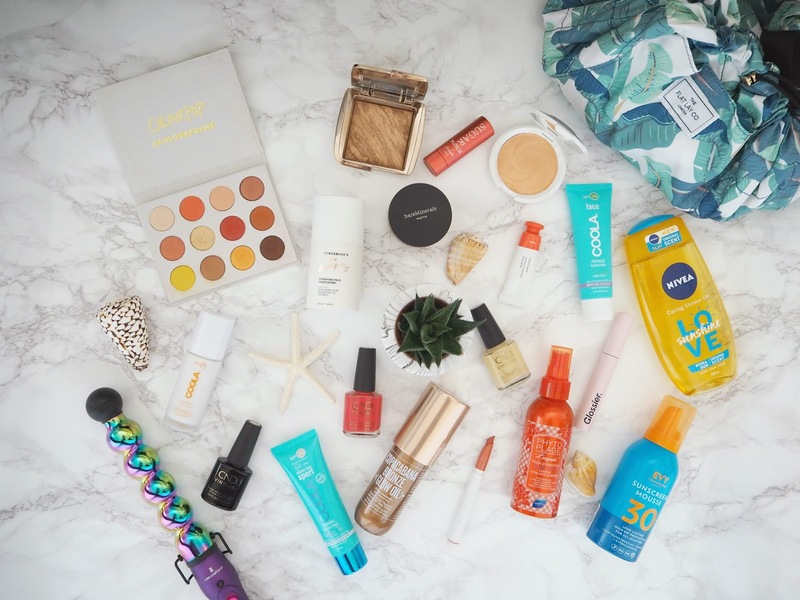 I hope you enjoy discovering some of my top makeup, skincare and haircare picks for the hottest months of the year. Coola Mineral SPF30 Daydream Makeup Primer* | £42 | This is definitely on the pricey end, however if you want a good primer that's going to protect your skin from the sun without you having to even think about it, then it's definitely worth checking out. I really like the silky feel it has and the satin finish it gives my skin, matting down any shine without being at all drying. It has a nice smoothing effect, which helps my base sit nicely on top of my skin without sinking into pore and fine lines. It's a mineral formula and contains SPF30. Bare Minerals Matte Powder Foundation SPF15 | £27 | If you checked out my Minimal Effort Summer Makeup post then you’ll already be familiar with how much I rate this product. I want something lightweight that will keep the shine at bay and not melt off my face in the heat and this build-able powder formula is perfect for that. It doesn’t feel like I’m wearing much makeup and I can just use a good concealer where I need it. It’s long-lasting and doesn’t leave me looking greasy by the end of the day. 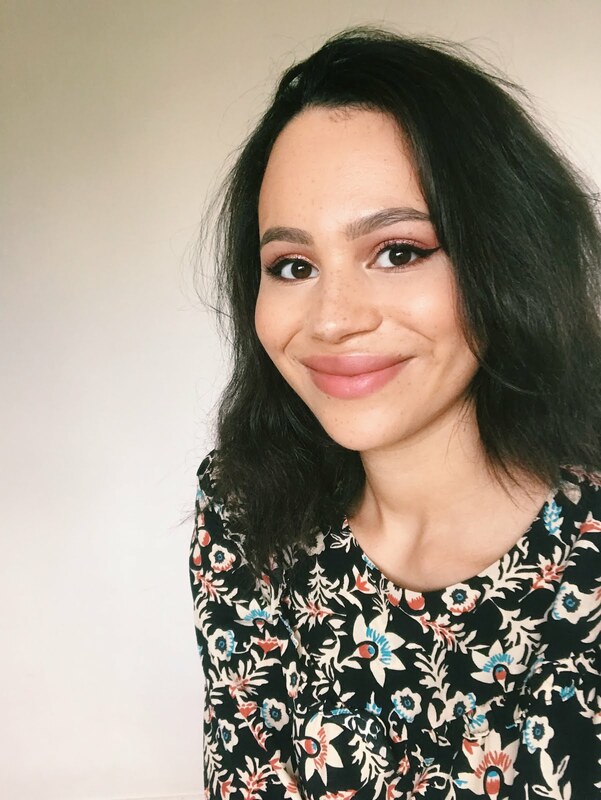 Glossier Cloud Paint in Dawn | £15 | I recently picked up the two new Glossier Cloud Paints (check out my thoughts on the both of them here) and the shade Dawn is perfect for summer. I really like this formula – very rarely do cream or liquid blushers work on my combination skin – they usually go patchy or become invisible a few hours into the day! This is quick and easy to dab on and blend out with the fingers – with this bright reddish orange tone, you only need a tiny amount of product to get a natural flush of colour. Becca Shimmering Skin Perfector Pressed in Dreamsicle | $38 | I’m not sure if we’re getting this shade in the UK but I got this for my birthday and my mum ordered it from Sephora. I always love Becca’s powder highlighter formula – it really does set the benchmark by which I judge all subsequent products. It’s so smooth and creamy in texture and has amazing colour payoff with a dewy finish. This is a pretty warm tangerine tone that’s gorgeous for the summer months. Hourglass Ambient Lighting Bronzer in Radiant Bronze Light | £45 | This is such a beautiful bronzer that was definitely worth the splurge! It just gives a natural, warm glow. It’s subtle but gives my skin that sun-kissed look and a shimmer-free radiance. 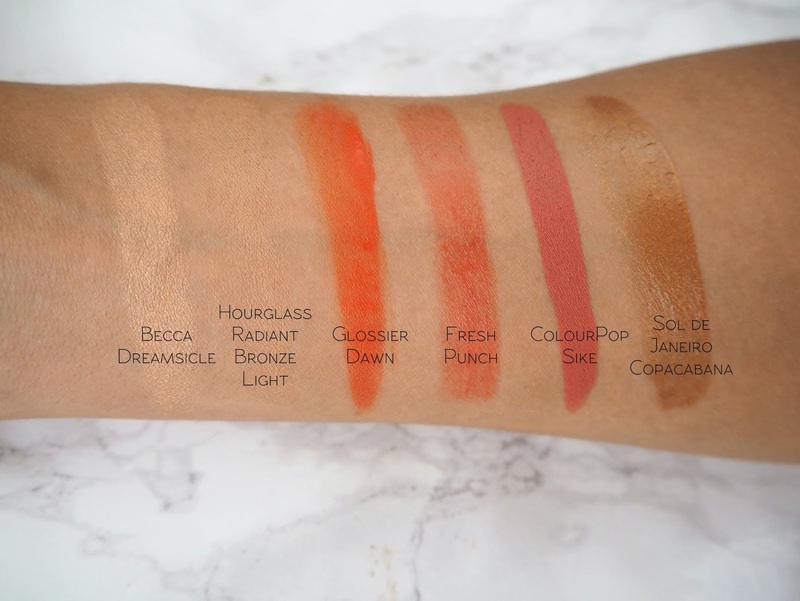 I absolutely love the Hourglass blusher formula and their baked marbled bronzers are just as gorgeous. This product blends out beautifully and evenly with minimal effort and doesn’t go patchy on me during the day. 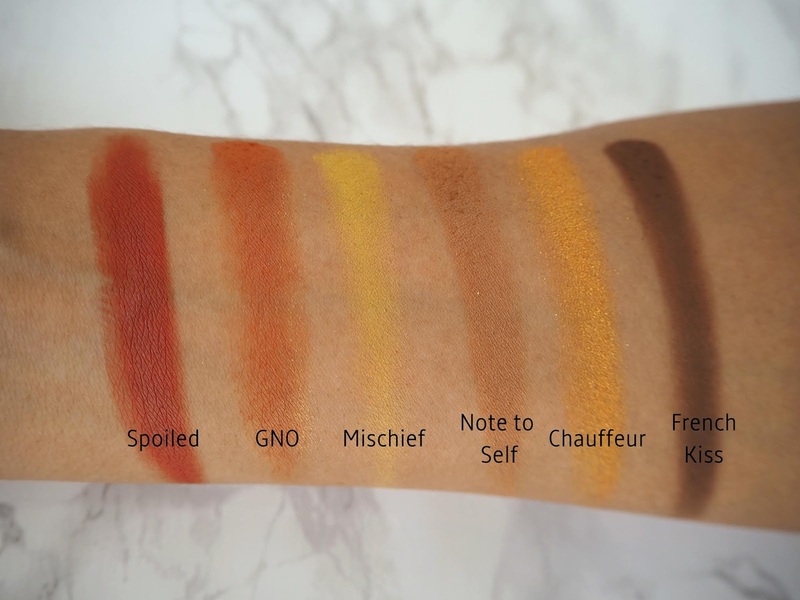 ColourPop Yes Please Pressed Powder Eyeshadow Palette | $16 | review | I actually didn't get as much used as I'd hoped for out of this palette originally, however since the start of summer this year, I haven't been able to get enough of it! 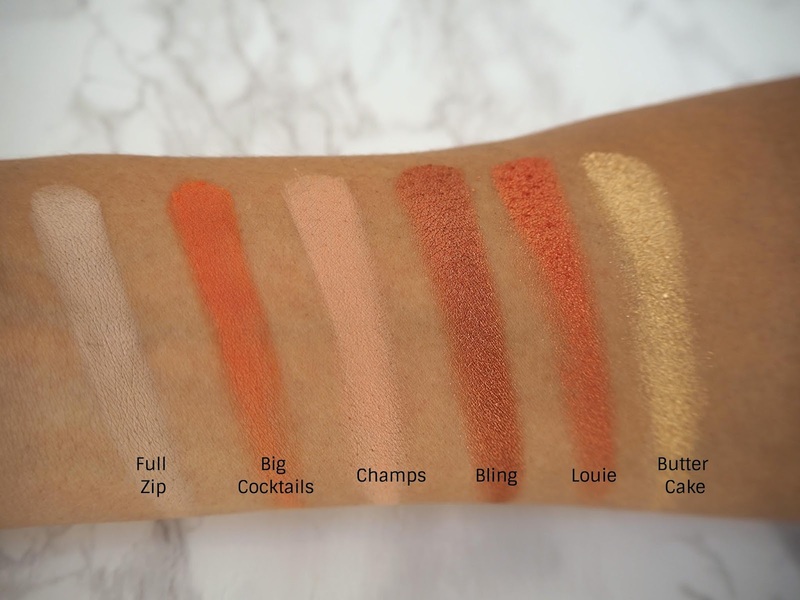 I love the quality of ColourPop's powder eyeshadows and these shades are gorgeous. The coral, orange and gold tones are perfect for creating a gorgeous summer eyeshadow look. Glossier Lash Slick Mascara | £14 | review | Although I didn't love this mascara as much as I'd hoped (it just doesn't give enough volume and oomph to dethrone my favourites), it does do one thing fantastically: it stays in place without smudging or flaking, even in hot, sweaty weather! That makes this the perfect summer mascara for natural separation and length. Fresh Sugar Lip Treatment in Punch* | £19.50 | I absolutely love these tinted lip balms, as I’m sure regular readers know! The formula is nourishing and contains SPF15, plus the range has some gorgeous colours. This is a surprisingly pigmented reddy-orange tone that perfectly compliments Glossier Dawn on the cheeks. Colourpop Matte Lippie Stick in Sike | $5.50 | This is such a pretty ‘bright, but not too bright’ lip shade for summer – you get that slightly bolder look but it’s still a very everyday-appropriate colour. I really like this formula – it’s not a true matte so does transfer a little but it’s very creamy and opaque. It’s long-lasting and comfortable to wear. Sike is a warm, bright (but also sort of muted) peachy-coral. Dr Roebuck’s No Worries Hydrating Moisturiser* | £30 | This has been my daily moisturiser since things started hotting up here in the UK. It just does the job for me! It contains so many hydrating oils and Hyaluronic Acid, that are amazing for smoothing and moisturising my skin, however it dries down to a satin finish. It doesn’t leave an excess or make me look greasy but still helps my dehydrated skin! 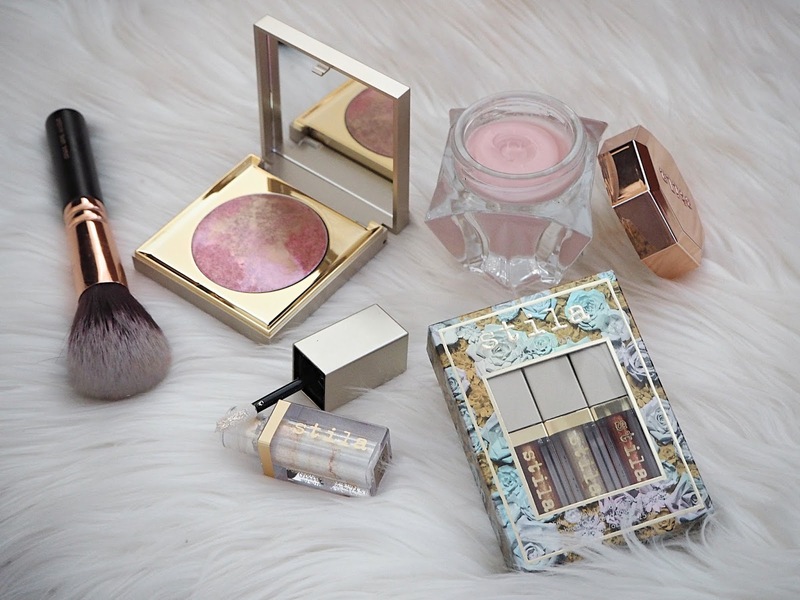 I’ve got a ton of products from this brand that I’ll be reviewing for you in due course. Coola Classic Sport Sport White Tea SPF50* | £30 | Although I don't wear this sort of broad spectrum SPF50 every single day, I've been giving this a test run recently and this would be a holiday option for me or one I'd reach for on a particularly sunny day. It has a light texture so I give it a good shake before use. It's easy to apply and has a light, whipped cream-gel texture. It doesn't take ages to blend out and doesn't pill up when I'm applying my primer or foundation, which is impressive. It isn't matte but doesn't leave my skin looking shiny either. Coola Mineral Face SPF30 Cucumber Matte Finish Moisturiser* | £36 | On days when I really just don't have the time to be applying a separate sunscreen and moisturiser, I've been reaching for this. I apply this once my serum has properly absorbed and it has an interesting, almost mousse-like texture. It's hydrating but very light and does help keep the shine at bay. If you suffer from oily skin then I really recommend this for the summer months; it does both jobs in one step and I find SPF30 to be a great level of protection for every day here in the UK. It's a mineral sunscreen so is a little more natural and gentle on the skin. Unlike some mineral formulas, this blends onto my skin without giving a white cast. It also contains calming plant extracts. Nivea Sun Caring Shower Gel* | £1.99 | I actually did a sponsored post on Instagram with this product because it really is nostalgic summery-ness in a bottle! It has that familiar Nivea Sun scent and a moisturising oil-gel formula so my skin feels soft and hydrated. Evy Technology Sunscreen Mousse SPF30* | £25 | I tried a few products from this brand - though the daily face sunscreen wasn't for me (the foam made it super easy to apply, but it just made my face too shiny!) I did really love this and the SPF20 for my body. It doesn't take ages to rub in or leave that awful blueish-white tinge to my skin. The foam melts onto the skin leaving behind no excess, which is exactly the quick and easy process I want from my sun protection! Sol de Janeiro Copacabana Bronze Glow Oil* | £35 | I've not really had a new summer fragrance this year, but to be honest; this smells so gorgeous that it can double as one (I also have the body mist from the same range!) It's definitely pricey for it's product category (a cheaper alternative I really rate is the Nuxe) but I do love that warm, sweet, summery scent and it adds a gorgeous bronzed glow to my legs when I get them out! It does have a slight tackiness, so be careful with light-coloured clothing, however it's worth it to get that 'perfect legs' look along with lots of hydration. CND Vinylux Weekly Polish in Offbeat & Vagabond* & Topcoat* | £9.95 each | I definitely want to do an update on these polishes to see if they can replace my expensive Shellac manicure habit! However for a few special occasions I've wanted my nails done professionally lately but have been loving these long-lasting polishes on my toenails. These two are part of a new summer collection and they last me a good 2 weeks on the toenails (which always look better for longer than my hands, which usually chip after about a day!) before they start to scratch off a bit. Offbeat is a vibrant, summery pink and Vagabond is a light sunshine yellow. Phytoplage Protecitve Sun Oil* | £17 | This is a really great product if you find your hair looking a bit dry, damaged and lacklustre after a day of baking in the sun! It gives my hair a super-glossy look and feel so it appears healthier. It also protects your hair against the sun, which should help preserve your colour if you dye your hair. It's also waterproof so the protection will last even if you're in and out of the sea or pool. Lee Stafford Rainbow Shine Bubble Waver* | £39.99 | This range of stylers has totally converted me to wands instead of using my straighteners to create a wave. The look is just so much more defined and lasts waaaaay longer! I also like that you don't have to drag plates over your hair over and over again. I'm loving this bubble version for creating a soft wave that doesn't instantly drop out. It's perfect for a relaxed festival / boho vibe! I also find the design really practical - there's a little stand to keep the hot plates off your surfaces, plus it comes with a heat glove. This has been my go-to look for summer. The Flatlay Co Tropical Leaf Drawstring Makeup Bag* | £17.99 | This beauty bag is such a cool concept! When unfolded it lies flat and your can lay your products right on it. 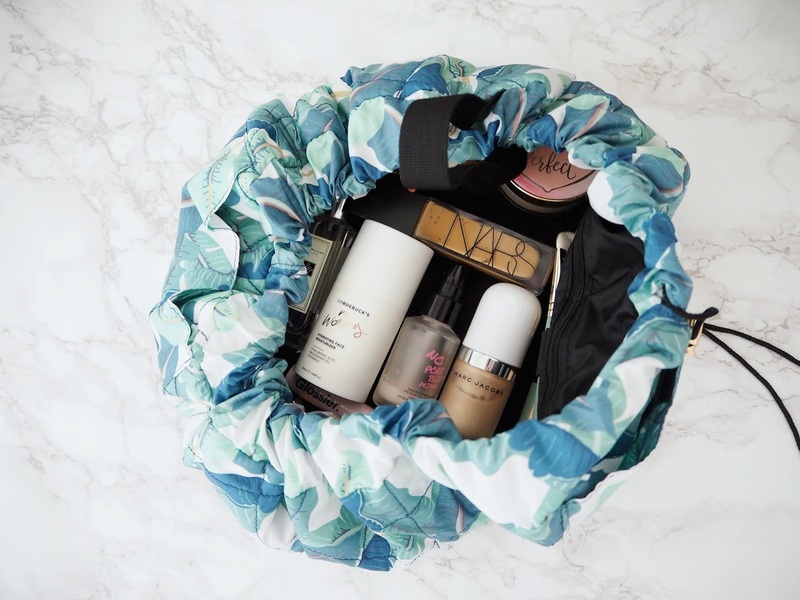 Then you pull the drawstring up to secure your makeup and skincare inside. I love the concept and it has handy little pockets and makeup brush holders. The print is giving me all of the holiday vibes so I'll definitely be taking it for my skincare bits next time I go away, given that it's waterproof. Which beauty bits are you reaching for this summer?